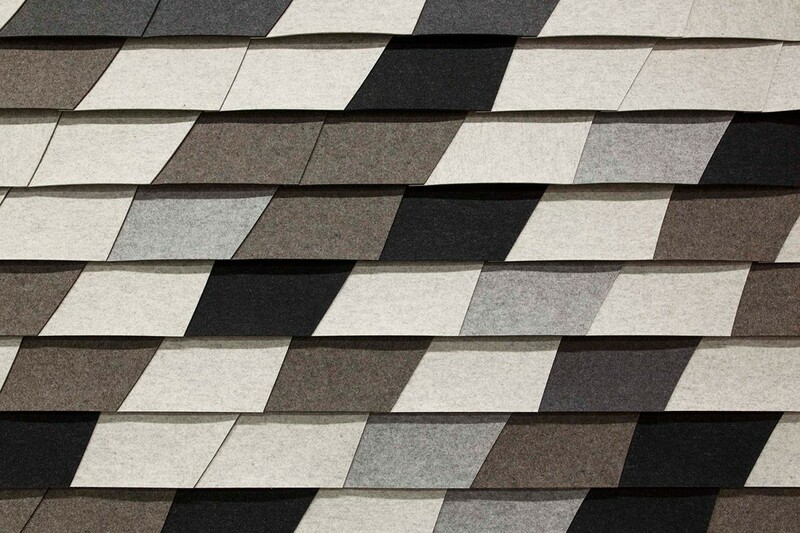 ARO Shingle 1 is a wall system composed of individual courses that create a continuous, shingled effect when patterned across a larger surface. ARO Shingle 1 has two distinct tile profiles and the tile rows are offset to create multiple pattern readings. The tiles overlap each other vertically and horizontally and an acoustic substrate backs each tile. 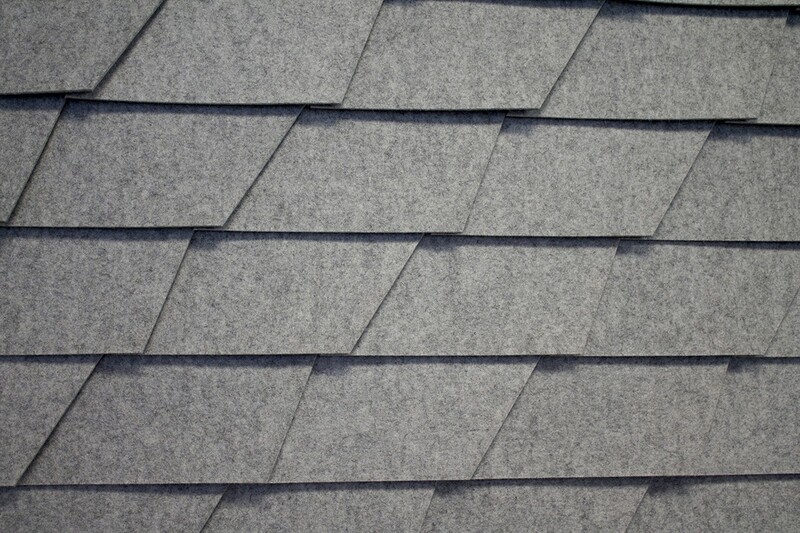 The courses attach to vertical strapping with FilzFelt’s Interlock Mounting System and choose from a wide range of colors to create endless patterning with the individual shingles.